Stroll through the grove and see these beautiful vibrant flowers. The Missouri Botanical Garden grows more than 250 magnolia specimens, which can be seen from late March through mid-June in Magnolia Grove. 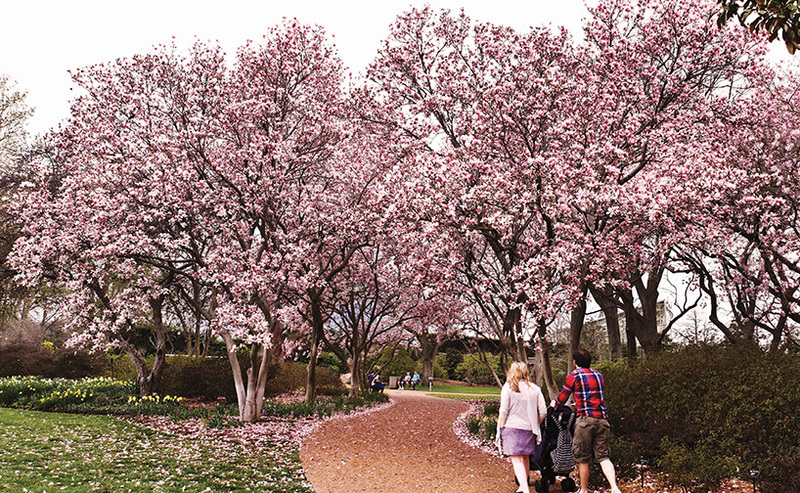 Magnolia Grove, also known as Kiefer Magnolia Walk, provides a beautiful walking path between the Linnean House and the Climatron. Head to the Garden to see these flowers that have been frozen in time, yet remain vibrantly alive. Star magnolias, magnolia stellata, are medium-sized shrubs and flaunt their airy white flowers that visitors may notice as early as the third week of March. They can be seen through the end of April but are at risk to damage by frost if its buds open during a warm spell in early March. 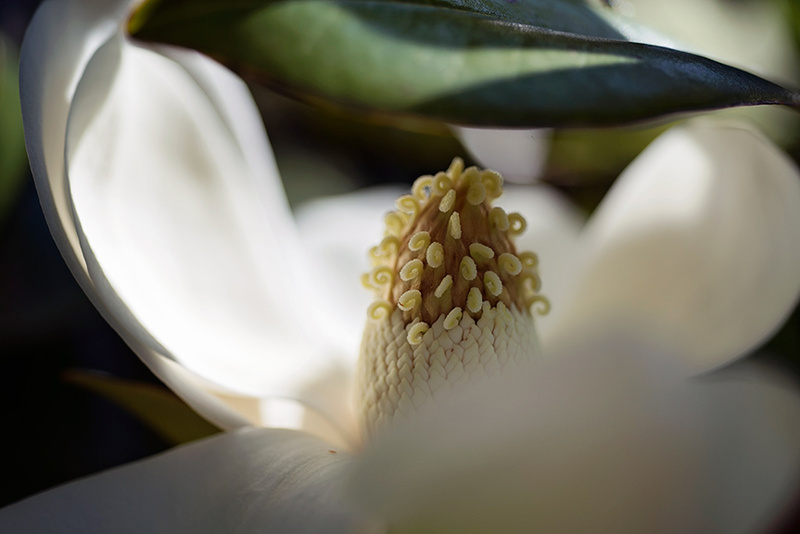 In May and June, visitors can stroll through the grove to see the sweet bay, Magnolia virginiana, and the southern magnolias, Magnolia grandiflora. The southern magnolia cultivar "Bracken’s Brown Beauty" is also in bloom and produces five-inch-wide, creamy white spring flowers. Visitors can also enjoy magnolias native to Missouri. The cucumber tree, Magnolia acuminata, often produces good fall color, instead of green spring flowers. Missouri-native tulip trees, Liriodendron tulipifera, are also members of the magnolia family.